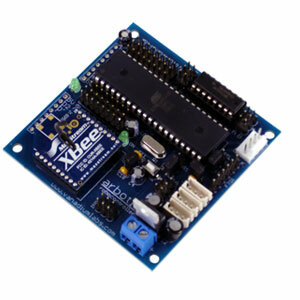 Install Arduino Software - the IDE for creating code for our controller. Install ArbotiX Distribution - we'll also need to install some files to use the ArbotiX with the Arduino IDE. Test Your Setup and update pypose sketch at the same time. Install PyPose - A simple pose and capture program for the ArbotiX. Install the Arduino framework: follow these instructions at to install Arduino 1.0.x. The rest of this document assumes familiarity with the Arduino environment. See the Arduino documents for details on using the Arduino IDE. To use the ArbotiX with the Arduino IDE we need to add some files to our Arduino sketchbook folder. Most users will want to download the latest ArbotiX/PyPose, extract the zip file, and copy the contents of the arbotix folder into the sketchbook. This includes the hardware folder, libraries folder and a number of example sketches. Alternatively you can grab a zipball of the absolute latest, bleeding edge source, or checkout from the github repository, and then locate the files correctly as described above. Please see the downloadable ArbotiX manual for instructions and guidance in connecting external devices and power to the board. Although all boards ship with the pypose sketch already installed, we recommend always upgrading to the newest version, in case changes have been made since your board was produced. See the RX-Bridge page for details on setting up an RX Bridge. Now, let's test our Arduino installation and programmer. Before PyPose can interact with our robot, we need to download a program (or a sketch as the Arduino environment calls them) onto the ArbotiX. The "pypose" sketch provides a pass through from the ArbotiX to the Bioloid bus, by speaking the correct protocol with PyPose. Any time you load your own code onto the board, it will overwrite the pypose sketch, so you'll have to upload it before using pypose again. If you want to use an In-System Programmer (ISP), the usage has changed in Arduino 1.0. You now use File->Upload using Programmer and no longer have to manually edit files! The Arduino environment now includes a number of supported programmers, but we have added one for the Pololu Serial ISP which shows up as AVRISP mkII (serial). With a bootloader on the ArbotiX, you can do wireless uploading. The ArbotiX bootloader runs at a 38400 baud rate, so your XBEE radios need to be set to 38400 for wireless downloading. You'll also have to manually push the RESET button. A tutorial on getting around the reset button push is here: http://www.ladyada.net/make/xbee/arduino.html. Note: wireless uploading is dangerous, if you experience RF-interference something may go wrong. We do not recommend doing this unless you have an ISP to restore the bootloader, and also have enough experience to know how to restore the bootloader. PyPose is a pose and capture program, written in Python using wxPython. We of course will have to install Python, wxPython, PySerial to access serial ports, and then PyPose itself. Put the PyPose software in an easy to use location, and start pypose.py to run PyPose. If using Ubuntu, you can install items 1-3 of the above with: sudo apt-get install python python-serial python-wxgtk2.8. Congratulations, your ArbotiX and PyPose are setup! Now you can go to the PyPose documentation page to start interacting with your robot. BioloidController - for interacting with AX/MX servos. Commander - library for communicating with a handheld ArbotiX Commander, or a PC. EncodersAB - for using the onboard encoder headers. HServo - a repackaged version of the older Servo library. Motors2 - for controlling the onboard dual 1Amp motor drivers (uses Timer2). SharpIR - for reading distance using any of the family of Sharp IR ranging sensors. The default Serial library that comes with Arduino environment will work with either the FTDI cable or the XBEE radio on the ArbotiX (remember, don't connect both the FTDI and the XBEE at the same time). We suggest using 38400 as the baud rate, since all of our demos use that. ax12.h & ax12.cpp - implement the low-level serial communications code for communicating with the Bioloid bus. BioloidController.h & BioloidController.cpp - implement higher level functions, like loading a pose from FLASH memory, or manipulating poses. AX-12 servos are different from regular hobby servos. They connect to a serial bus, and each has an ID number. Rather than receiving a PWM signal, we write to onboard memory locations through our serial protocol. For more information about AX-12 servos please see the documentation from Robotis. // need to include header files, you can do this in the Arduino IDE, by selecting Sketch|Import Library|Bioloid. // we always need to create an instance of the bioloid control, usually with baud = 1Mbps. SetPosition(servo_id, position) - set the position of a servo. Relax(servo_id) - turns off the torque, allows hand-posing the servos. ax12GetRegister(servo_id, regstart, length) - read a register value back, length should currently be either 1 or 2, regstart should be the name/memory location of the register. All these definitions are included in ax12.h, such as AX_GOAL_POSITION_L. ax12SetRegister(servo_id, regstart, data) - write the value of a single register within a servo. As above, regstart should be the name/memory location of the register, data is the byte to be written. ax12SetRegister2(servo_id, regstart, data) - write the value of a 2-byte register. Where droid was the name of our robot (PyPose automatically converts it to upper case during export), and liftLeft, plantRight, etc are the pose names. We will typically save our pose file as poses.h, in the directory where our sketch is located. This pose file is the example from our video of making the walking droid work with an ArbotiX. We'll discuss the transition sequence (forward) later. We can now load these poses from FLASH memory, and send them out to the servos using a bioloid-bus SyncWrite (which is much faster than setting the position of each servo individually). bioloid.interpolateStep();     // move servos, if necessary. The interpolation engine is very simple. It writes a new frame out to the servos at about 30Hz. If your loop code gets really long, this could become problematic. Eventually, we will have an interpolation engine that is interrupt driven, so that the movement is more guaranteed to be smooth. An item I did not discuss above, was bioloid.readPose(), this queries each servo, and loads their positions into the curpose buffer. This is most useful for standing up gently, as shown above. bioloid.loadPose("pose_name") always loads into the nextpose buffer, and interpolation always happens from curpose to nextpose. Note that is recommended to have a delay of at least 100ms after startup before a readPose(), otherwise the AX-12s may not be ready and legs may jitter. We could manually handle loading pose after pose and writing them out to the servos, or we can use a sequence. A sequence can be constructed in PyPose and is exported inside our pose file. Each sequence contains several transitions, each transition is a pose name and an interpolation time to use when transitioning to that pose. We're using the same code to "stand" up, but then we call playSeq() with the name of a sequence, in our case, forward which will make the robot walk forward. playSeq() is somewhat like interpolateSetup(), it just bootstraps our system. We need to call play() just as we called interpolateStep(). Just like bioloid.interpolating, we have a variable that tells us when we're done, bioloid.playing. void left(int pwm) - set the left motor speed. void right(int pwm) - set the right motor speed. void set(int lpwm, int rpwm) - set the left and right motor speeds at the same time. Motor speeds are between -255 and 255. -255 is full reverse, 0 is stopped, and 255 is full speed forward. The EncodersAB library will decode 2 pairs of quadrature signals using a set of interrupts. The library works with either the ArbotiX or the MINI. There is no need to create an instance of the library, it is automatically created by the system, named Encoders. The left & right count are long integers, but they could overrun if not read and cleared often enough. Note that on the ArbotiX, the interrupt handlers are on a multiplexed channel, and thus are somewhat long -- maximum count frequency is therefore limited. The HServo library is basically a repackaged version of the old hardware-only Servo library. If your ArbotiX is heavily loaded, you may find that the new software-extended Serial library causes glitches. This library will allow you to control servos without glitches -- however it is limited to only 2 servos, instead of the 12 that the new Servo library can do. The interface is the same as the Servo library, but can only be used on pins 12 and 13. This library allows easy usage of a number of Sharp IR ranging sensors. Each IR ranger uses on analog pin. The library function getData() converts the analog voltage into a distance in centimeters. The library function getSmoothData() takes multiple readings from the analog port and may yield better results when the sensor power supply is noisy. GP2D12 - The original analog IR ranger in the Sharp family of sensors. Mid range sensor, 4"-32" range. Use this for sensors marked as GP2D12 or GP2Y0A21YK (which is a newer ROHS version). GP2D120 - Short range sensor, 1.5"-12" range. GP2Y0A02YK - Long range sensor, 8"-60" range. It is important to select the correct sensors type, or the conversion will be incorrect and you will receive incorrect and useless range data.